I’m unleashing my inner superhero at Habitat for Humanity GTA’s 2014 Women Build! This was a last minute AKA surprise that fell upon my lap so why not! I have very little time to raise funds and every nickel, dime and dollar counts. I will be there to help build so feel free to come down and yell at me to work more too lol Thank you! If you have any trouble with the link below, please just search my name 🙂 It is totally legit and you will get a tax receipt for your awesomeness! 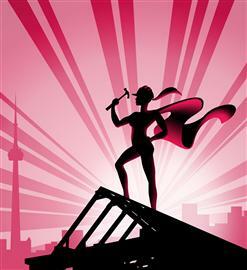 I’m unleashing my inner superhero at Habitat for Humanity GTA’s 2014 Women Build!.